Advertising Prices on Your E-Commerce Site Will Keep.. When a customer shops for an item in a brick-and-mortar location, mystery can often be a part of the process. As they approach a rack, customers often have no idea what a price tag will read until they examine it more closely. This mystery can lead them to possibly buy an item they might not have otherwise. This psychology has led brands to try for similar mystery on their e-commerce sites. If they keep prices hidden, they mistakenly assume they’ll lure those customers into calling or visiting a store, where a salesperson can talk them into making a purchase. Unfortunately, this often isn’t the case. 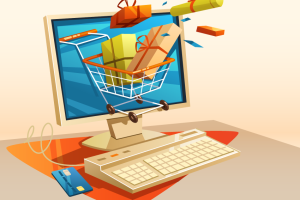 Here are three benefits of putting prices on your e-commerce site. In a usability study conducted by Nielsen Norman Group, lack of pricing information led frustrated customers to leave websites for competitors’ websites. The research group found that when making a pricing decision, customers are most likely to shortlist the first few good sites that include pricing information. From that shortlist, customers will make a choice based on a variety of factors, with price being a high priority. Customers aren’t the only ones who search your site for products. Reviewers, researching information for their articles and blog posts, will likely skip your offerings once they realize you’ve left the information off. Requests for customers to visit your brick-and-mortar location or call for details will be lost on reviewers interested in finding quick information. Since the majority of customers conduct research before making a decision, this means you’ll miss out on valuable free publicity. One of the best things about an ecommerce site is that it gives brands the opportunity to quickly convert customers while they’re on a site. When businesses fail to take advantage of that opportunity, they lose money. Instead of directing customers to take an extra step, businesses should provide a price with a “Buy Now” button to make it clear that purchasing is just a click away. Overall, because customers conduct research before making a purchase, it is important that businesses have prices clearly listed online, so the customer will include their website in their purchase decision. When a business fails to put its pricing online, customers simply move on to the next person. However, as important as it is for brands to have transparent pricing information, it’s also important to remain competitive with that pricing. In this regard, PriceManager can help retailers track their competitors and let them know exactly what their competitors are selling the same products for. PriceManager can also automate price changes, so retailers can remain competitive with their competition and be priced at the price point they would like to be. Contact us today to see a live demo of our system and how we can help your business.